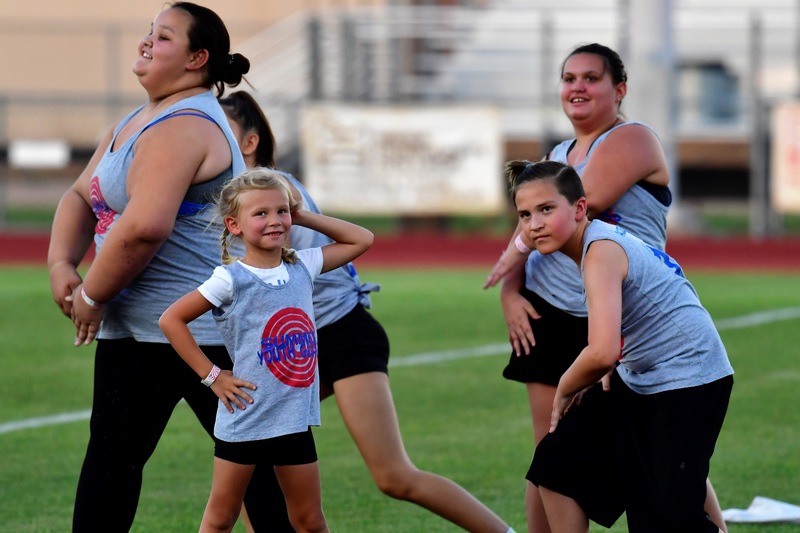 The Summer Youth Guard (SYG) program of The Arizona Academy of the Performing Arts is designed to be an introductory program for students, ages 5-14, who are interest in joining the color guard activity. This program teaches the fundamentals of color guard equipment and movement while building confidence, character, and self-esteem in each of the students. 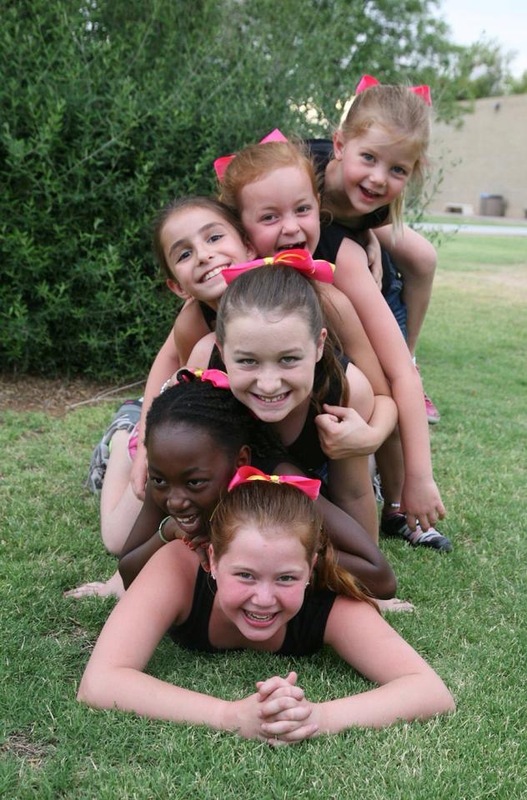 It is an active, healthy, safe, and fun activity to be a part of during the summer months. The SYG program is also intended to be a continuing education program for those who desire additional training and/or performance experience in the activity. This program can be a great head start for those students who are embarking on their first adventure as members of their high school color guard. Most SYG participants have gone on to perform in top high school, college, and professional Winter Guards and Drum Corps across the nation. Interested students should complete & submit the registration form online and contact Jamie Warhus (Program Director) with any questions: academyyouthguard@gmail.com. Feel free to bring a friend and introduce them to the color guard activity! We look forward to seeing many familiar faces and meeting all our new members as well. Rehearsals will be on Mondays & Wednesdays from 4:00-7:00 pm. This year, the members of the Summer Youth Guard will train and prepare for one show. This will occur at the “Drums Across The Desert” on Monday, July 2, 2018. The 2019 SYG membership fee is $175. This fee covers the cost of facilities, instruction, equipment rental, one performance opportunity, a ticket to the drum corps show, and a member t-shirt. Also, a 10% sibling discount is available for the second child registering within a family. A 20% discount is available to the third child for a family of 3 participants in the program.